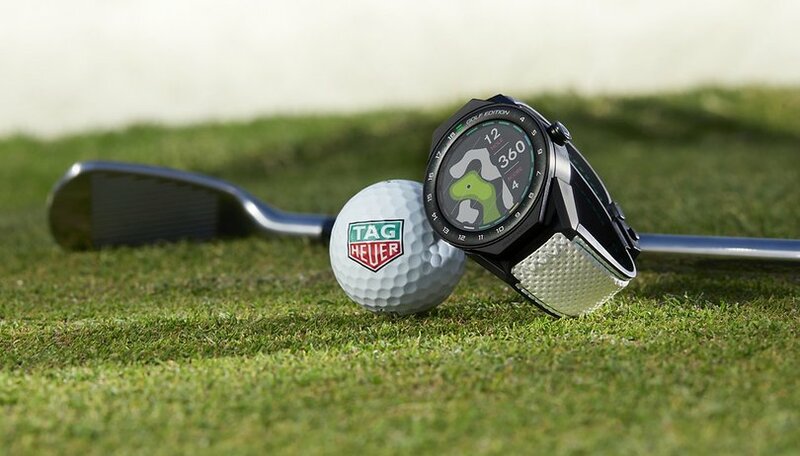 We’ve had no shortage of big tech events in 2019 already, with CES and MWC, but at Baselworld 2019, the world watch and jewelry show, Tag Heuer announced its Connected 45 Modular Golf Edition. It’s a product that makes so much sense on paper. The Connected Modular 45 Golf Edition from the luxury Swiss watch manufacturer, Tag Heuer, is a smartwatch that for those who like to hit the links on the weekend. This is not the first time we’ve seen this kind of thing, of course. Premium golf brand, Callaway, makes a sports watch, as does SatNav giant TomTom. Running watch brand Garmin has had a crack at it, too. But this one feels different. You’ve got a luxury watch brand that, whilst not being particularly hip in 2019, still appeals to the kind of wannabe executive who buys a Hugo Boss suit and carries Samsonite luggage. It’s not enough for it to look expensive, your peers need to know it is. Throw that into the world of golf, with all its networking and business execs, and you've got yourself a winner. What is the Tag Heuer Connected 45 Modular Golf Edition? It’s a smartwatch for golfers. It’s a spin-off from the Tag Heuer Connected 45 Modular. Around the display - a 1.39-inch touchscreen - the numbers traditionally found on a clock face (1 to 12) have been replaced by 1 to 18. The numbers will be highlighted depending on which hole you are playing, and key information such as distances, par and your score, is displayed on the screen. It features GPS, obviously, and NFC too. All the regular smartwatch features you'd expect for sending messages and reading notifications are in there as well. The battery is a 410mAh and should last up to 25 hours. That’s enough for 18 holes in the morning, and 18 holes after lunch. It’s packing an Intel Atom processor and runs Google’s Wear OS. The software has also been reworked to give golfers more information around the course. Tag Heuer’s new golf app offers a 3D fly-over of every hole, while an interactive 2D course map provides distances from the watch (your ball) to the green. You’ll get distances to hazards such as bunkers. The app supports 39,000 courses, or 99% of all the courses in the world. You can also score your golf game from your watch, with support for up to four opponents. It can do alternative scoring such as Stableford, too. The app also provides you with plenty of data about your own game, such as how you perform on par 3s compared to par 5s, for example, as well as offer an estimated handicap. Then there is the price - $1,850 in the US and £1,600 in the UK. The Tag Heuer golf app is not available for any other Wear OS device, though. An Apple Watch version is available, but users will have to pay an annual fee of $39.99 to access the full set of features. Tag Heuer is protecting its premium brand here. After all, you aren’t going to impress your friends down at the clubhouse with your expensive high-tech golfing gadget if the same app is available on every TicWatch and Fitbit, are you? Why is the golf market so appealing to luxury brands? The golf industry is a massive market. A 2016 report TEConomy Partners estimated that golf in the US alone is worth more than $84 billion. Keiser University College of Golf has also found that 24 million Americans play 465 million rounds every year, and around $6 billion is spent on golfing equipment, apparel and supplies annually. In Europe, it's a similar story. A report from the Ryder Cup European Development Trust, prepared in conjunction with KPMG, valued the total economic value of golf at 48.3 billion euros. Of that, 3.6 billion is brought in from golfers buying supplies and equipment. Essentially, there’s a whole lot of people playing golf, and most of them have the disposable income to spend on high tech products to help improve their game. Tag Heuer wants a piece of that action, and I think it might just be onto a winner here. What do you think about it? Let us know in the comments.